ACCIONA ENERGIA GLOBAL with representation offices in 20 countries enters Ukrainian market with €54,7m initial investment. 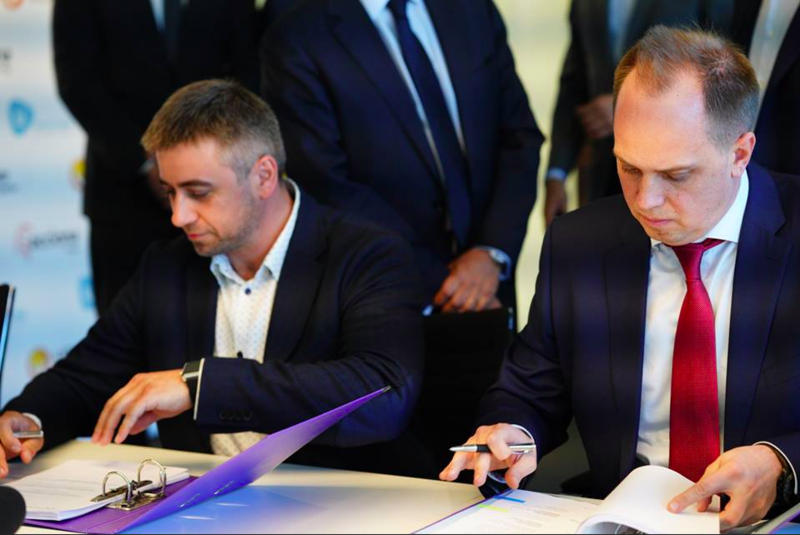 Leading Ukrainian investment and development company in the renewable energy sector UDP Renewables (part of UFuture Investment Group) announces about the beginning of a large-scale cooperation with Spanish ACCIONA ENERGIA GLOBAL – global leader in green power generation. The first cluster of projects of the Spanish energy giant in the Ukrainian market consists of the construction of 2nd, 3rd and 4th stages of Dymerka photovoltaic power station (PVPP) located in Kyiv region with 57,6 MW of peak installed capacity. UDP Renewables commissioned the first stage of Dymerka PVPP, which is located close to the new projects, in Q3 of 2017. Preparation of the project’s technical and permitting documentation, grid connection design and adjustment, development and commissioning of the first pilot stage of Dymerska PVPP took more than 18 months. This work resulted in pilot joint investment project between UDP Renewables and ACCIONA. The parties agreed to collaborate on a broad pipeline of investment projects in solar and wind power generation on the Ukrainian market. Sergiy Yevtushenko, Managing Partner of UDP Renewables, stated: «Acciona’s entrance to Ukraine symbolizes a new era for the domestic renewable energy sector. It is the signal for other foreign investors that will lead to growing competition and more foreign direct investment into the country. Sooner or later it will result in the decrease of energy cost for the final customer and boost the competitiveness of Ukrainian economy».